What are relations between commons and politics? In the last few years, the commons have enriched themselves with their entry into political institutions at the level of states, large cities or regions, whether in Bolivia, Ecuador, Spain, Britain, France, Italy, and elsewhere in the world. How can this encounter inspire us?  How does the commons paradigm fit with other proposals for a post-capitalist alternative, such as de-growth, social and solidarity economy, political ecology, open cooperativism, and much more? How to avoid the “commons washing” and recovery of the project and the values ​​of the commons in the dominant discourse? The video “Les communes dans l’espace politique”, produced by Remix The Commons, is based on workshops and interviews conducted at the World Social Forum and at the GSEF World Forum on Social Economy in Montreal August and September 2016. Professor Christian Iaione, LabGov coordinator, was between the experts and practitioners interviewed in this occasion. In his speech he touches on different topics: from the experiences that are taking place in numerous Italian cities around the urban commons to the importance of creating a stronger network of cities committed to addressing emerging urban issues; from the understanding of the value of experimentation to development of the capacity to address failure; from the importance to involve all local actors in the care and regeneration of the urban commons to the exigency of rethinking the role of the State and of the local administration. The videos originally appeared on the Remix the Commons website. How to transform a sleeping giant into a special space open to everyone? This is the question that will be at the center of the discussions at the meeting that will take place on Saturday the 27th of May 2017 at the ex-Military Hospital, also known as SS. Trinità delle Monache complex. 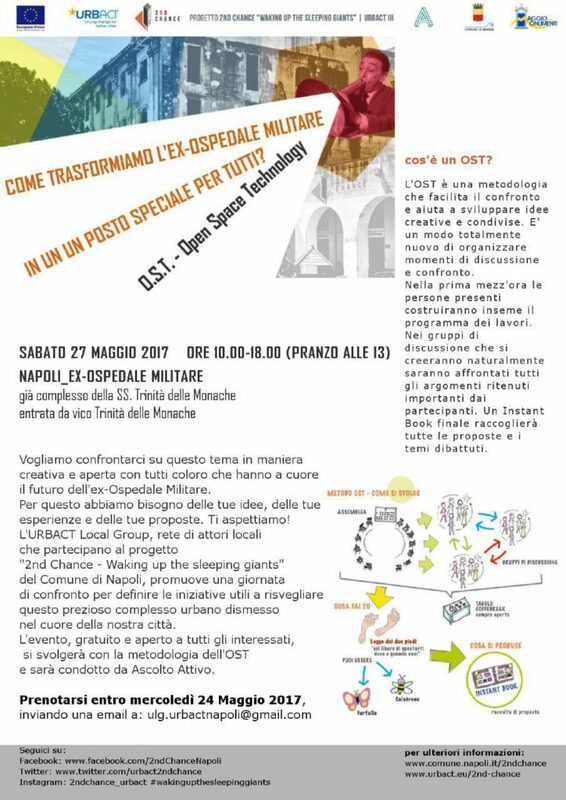 The event is organized by the URBACT Local Group, a network of local actors that are taking part in the “2nd Chance – Waking up the sleeping giants” project promoted by Naples Municipality. This meeting will offer an important occasion to come together and define the initiatives that will be implemented with the aim of waking up the ex-Hospital, a precious urban complex located in the heart of the city, which currently lies into abandonment. Everyone who cares about the destiny of this important resource is invited to participate in the event to and to share his ideas, desires, experiences and proposals. The event will adopt an OST (Open Space Technology) methodology, which favors an open debate and the development of creative and innovative ideas. The participants will spend the first half an hour of the meeting defining together the program of the day, and afterwards they will divide into working tables where they will discuss all the topics considered relevant by the participants. All the issues discussed and the proposals emerged will be collected into a final Instant Book. At LabGov we are following with great interest the numerous and innovative experiences that are taking place in Naples around the urban commons and that we presented in a previous article, and also in this occasion our coordinator, Professor Christian Iaione, will be present at the event. The city of Reggio nell’Emilia (better known as Reggio Emilia), located in the hearth of Emilia Romagna, counts a population of 172.000 inhabitants. 27.000 of them are involved in activities promoting social cohesion. These numbers, which highlight the existence of a strong social capital, help us understand the peculiarity of the approach adopted by the city administration. According to Valeria Montanari, Councilor for innovation, administrative simplification, participation and care of the neighborhoods, this peculiarity lies in the idea of “the city as an infrastructure that is made available to people”. In line with this view, the administration guided by Major Luca Vecchi, elected in 2014, has been promoting citizens’ participation in policy making, allowing for “the co-design not only of the actions, but also of the objectives that the city wants to pursue”. The choice to adopt a governance paradigm based on participation and collaboration implies the willingness to challenge and to change the traditional role of the public administration and its relationship with citizens. A process of institutional and bureaucratic innovation is being developed by the administration, which rather than simply providing services to their citizens aims at becoming an enabler for participatory paths and practices, bringing citizens at the center of the decision-making process. As explained by Nicoletta Levi, who is in charge of the service Policies for Responsible Protagonism and Smart City, what is being done in Reggio Emilia is strongly experimental, and this requires the administration to continuously stop to understand in which direction they are going. Collaboration might create a strong tension between the rigidity and division that characterize the public administration functioning and the strong flexibility and interconnectedness typical of the reality we live in. To be able to create a dialogue with the civil society the public administration should undergo a transformation and should learn how to work horizontally and be more flexible. Being aware of this framework allows us to fully understand the innovative processes activated by the city in the last years. The city of Reggio Emilia has been directly affected by a law that entered into force in March 2010, which prevents cities with less than 250.000 inhabitants to organize their territory into districts (circoscrizioni in Italian). Rather than being an obstacle, this law became an occasion for the city Reggio Emilia to think of new forms of decentralization and city management and to focus on the needs of its citizens. What is particularly interesting about the approach adopted by the city of Reggio Emilia is the choice to work at neighborhood level and to adopt neighborhoods as the unit of measure. This is evident when we look at the project QUA (neighborhood as commons) which aims not only at strengthening citizens’ participation, but also at giving citizens a protagonist role, both as single individuals and as associations and informal networks. In December 2015 the City Council of Reggio Emilia approved the Regulation for citizenship labs (full text in Italian is available here). The Regulation establishes collaboration, stimulated and supported through participatory paths, as a crucial feature in the relationship between citizens and the local administration for the care of the city and of the community itself. As explained on the official website of the city, this document is freely inspired to the Bologna Regulation, but it has a strong territorial connotation as it is adapted to the peculiarity of the local community and environment. Therefore, it underlines how neighborhoods should be understood as commons, meaning with this as fields where associations, informal networks, citizens and administration can connect and can develop together a new idea of participation and active citizenship. The city has been divided into 19 neighborhoods, or territorial areas (ambiti territoriali), which are being the theater for the establishment of Citizenship Laboratories and Citizenship Agreements, that are being developed and coordinated by the new figure of the Neighborhood Architect. The Regulation sets a procedural path, made of 9 phases, to be followed by the Laboratories. The Architect plays a fundamental role in the whole process as he is, using the words of Nicoletta Levi, an “activator of social resources and a mediator between center and periphery and between public and private”. The project has been met with great interest by citizens, and the participation has been high. By December 2016, 9 agreements had already been signed, 896 people had taken part in the participatory paths and 64 projects had been defined. Between these projects we find really different experiences, ranging from the creation of a book-crossing network involving local libraries, community centers and citizens, who imagined and produced structures to be placed in public spaces that allow for the book exchange, to the development of Participation Houses (an example here), places located in the neighborhood that can facilitate interaction and dialogue between a variety of local actors. Furthermore, these projects also include the creation and management of urban gardens (one example are the gardens managed by the cultural space L’orologio) and the development of Wifi communities, like the one that has been put in place in Villa Coviolo, an area located at the South-West of the city . The commitment of the Municipality towards participation and collaboration in decision making processes and in city making is at the bases of the CO-Reggio Emilia  project, that was promoted by the local administration in collaboration with the University of Modena and Reggio Emilia and with the scientific, strategical and organizational support of LabGov and Kilowatt. The process began with the activation of the participatory path of #CollaboratorioRe, which brought together citizens, associations, private actors, cognitive institutions and members of the local administration (as envisaged by the quintuple helix approach of urban co-goverance) and allowed them to collaboratively shape the future of the “Chiostri di San Pietro” area, a urban commons holding a particular relevance for the city and for its inhabitants. As explained by Valeria Montanari “#CollaboratorioRe aimed at creating the first incubator of sharing and pooling economy of Reggio Emilia, a new urban actor that will revolutionize the way we think about the city and will emphasize the role that civic collaboration should play in the care and management of the urban commons”. What makes the experience of #CollaboratorioRe particularly relevant is that while working on the regeneration of a physical space and on the creation of this new urban actor, the city is also activating a broader reflection on the idea of knowledge and culture as commons by working on the relationship between technology and culture and by attempting to reduce technological inequality through education and informal exchange of information. The experience of Reggio Emilia shows us that when institutions are willing to accept the challenge and to transform themselves, a paradigm change is really possible. By adopting a view of the city as an infrastructure that is made available to people, institutions and citizens are able to come together and collectively design the future of their neighborhoods, of the urban commons and of the city itself. As explained by Valeria Montanari in a short interview with LabGov. Nicoletta Levi presented the experience of Reggio Emilia and of the project QUA – Quartiere Bene Comune in occasion of the CO-city project presentation in Turin,on March the 31st 2017. 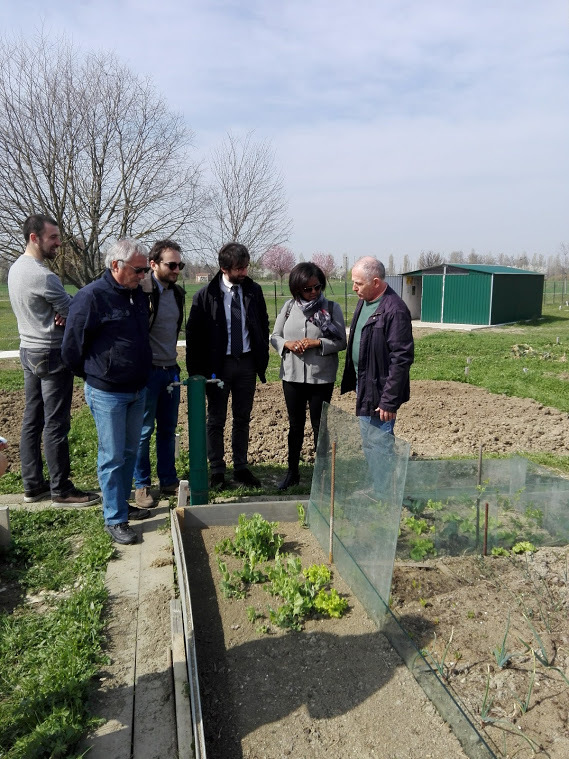 A complete overview of the CO-Reggio Emilia project and of the #CollaboratorioRe experience is available here (in Italian). Reggio Emilia è una città caratterizzata da un grande capitale sociale: su 172 mila abitanti, 27 mila sono impegnati in attività di coesione sociale. Questi numeri ci aiutano a capire la particolarità dell’approccio adottato dell’amministrazione locale che, come ci spiega Valeria Montanari, Assessora ad Agenda digitale, partecipazione e cura dei quartieri, è legata all’idea della città come infrastruttura a disposizione delle persone. The 4th edition of the Biennial of Public Space is taking place in Rome from the 25th to the 27th of May 2017. The event is promoted by the National Institute of City Planning, the National Council of Landscape and Conservation Planning Architects, the Roman Order of Architects, Architecture Department of the University Roma Tre, with the collaboration of UN Habitat and ANCI. 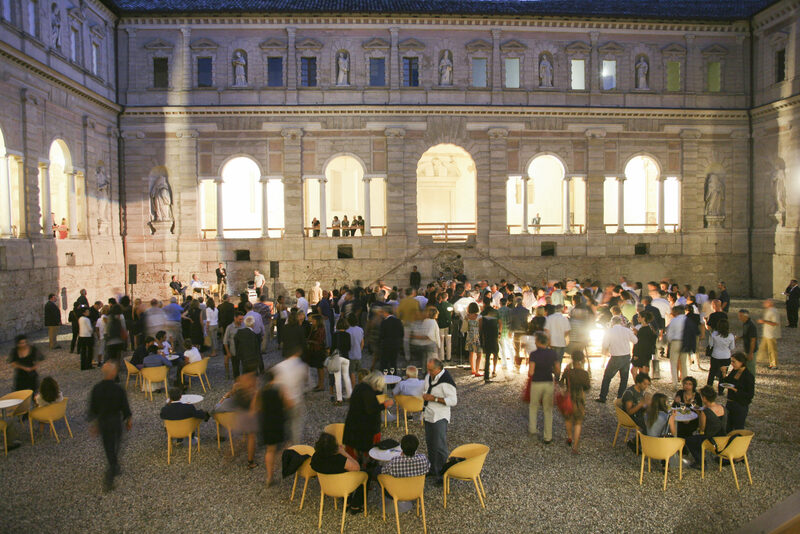 The 2013 edition of the Biennial saw the approval of the Charter of Public Space (available here in Italian), which “aims to be the document for all those who believe in the city and in its unique capability of fostering sociability, meeting, coexistence, freedom and democracy; and in its vocation to express and realize all these values through public spaces”. Therefore, the Biennial speaks to local administrations, universities, cultural associations, experts and practitioners, citizens and students, with the aim of promoting interdisciplinary projects involving the main urban actors. In line with this view, this year’s edition of the Biennial addresses the topic of planning and managing public space from different perspectives and thanks to the contribution of numerous actors active in this field. The program of the event, available on the website, is the result of the call “Making Public Spaces” launched in December, which saw the contribution of small and medium municipalities, schools, universities, cultural associations, provincial architects orders and regional sections of the National Institute of City Planning. The activities of the Biennial will begin on the 25th, with the opening greetings and the speeches of the promoters, followed by a series of workshop that will address different aspects of urban regeneration: mobility, accessibility, reuse, security, environmental resilience, management, social innovation, technologies.The workshops will continue on the morning of the 26th, and will be followed by two roundtables where the coordinators of the workshops will come together to draw some proposals and suggestions that will be presented during the final day. On the 27th, after the screening of the movies that won the “Filming the City” call, there will be a final debate, which will see the participation of members of foreign city administrations, from Lubiana to Bogotà and Johannesburg. LabGov will be present at the event, where we will take part in different roundtables: on the 25th Paola Cannavò (representing LabGov and UD Lab, UniCal) will be between the discussants in a workshop titled “Travel in the Governance of the Commons”, while Chiara Prevete (LabGov’s executive director) will take part in the working table “Conflicts: resistances met and transformations obtained”, within framework of the same workshop. On the 26th LabGov will also be present at the workshop “Green and Blue Infrastructures in the Project of the Contemporary City”. 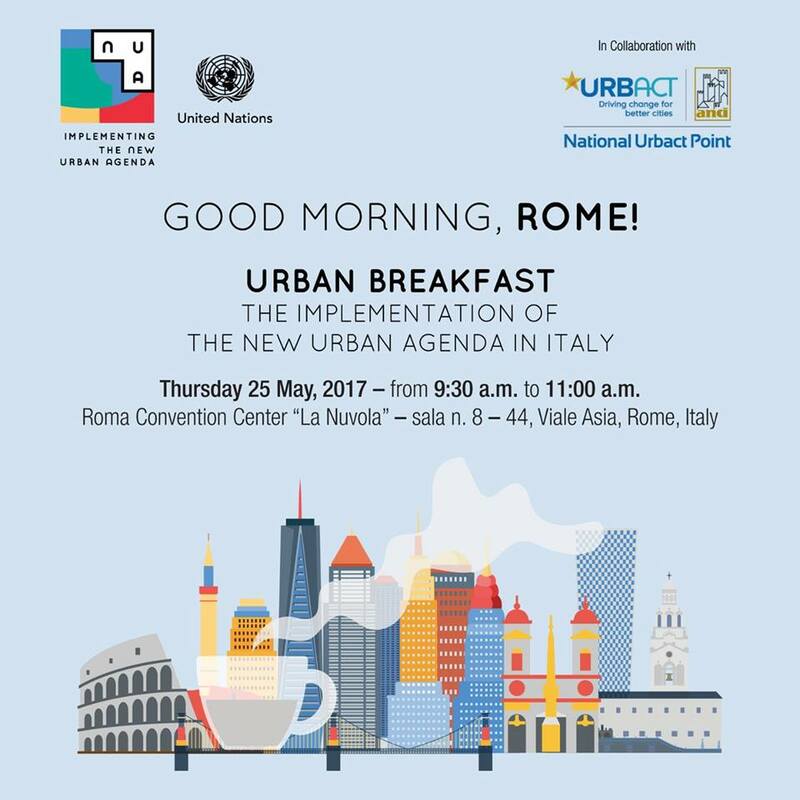 Dal 25 al 27 maggio 2017 avrà luogo a Roma la quarta edizione della Biennale Dello Spazio Pubblico, promossa dall’Istituto Nazionale di Urbanistica assieme alla sua sezione laziale, dal Consiglio Nazionale degli Architetti Pianificatori Paesaggisti e Conservatori, dall’Ordine degli architetti di Roma e dal Dipartimento di Architettura dell’Università Roma Tre, con la collaborazione di UN – Habitat e di ANCI. “Dopo l’apertura dei lavori, prevista il 25 maggio con i saluti istituzionali e gli interventi dei promotori, nel pomeriggio della stessa giornata e nella mattina del 26 maggio si svolgeranno i workshop che affronteranno diversi aspetti della rigenerazione urbana: mobilità, accessibilità, riuso, sicurezza, resilienza ambientale, gestione, innovazione sociale, tecnologie. Nel pomeriggio del 26 maggio i coordinatori dei 27 workshop si riuniranno in due tavole rotonde dalle quali emergeranno indicazioni, proposte e suggerimenti da presentare nella giornata conclusiva che prevede anche un dibattito al quale prenderanno parte amministratori di città di altri paesi, la premiazione e la proiezione dei video vincitori della call “Filmare la città”, iniziativa realizzata assieme all’International Fest Roma Film Corto – Independent Cinema”. What is the role that public administrations should – and must – have in the creation of a new economic development paradigm able to generate sustainable and equitable wellbeing? This question will be at the heart of the series of conferences and workshops organized within the framework of FORUM PA 2017, which will take place from the 23rd to the 25th of May in Rome. The common thread will be given by the Global Agenda for Sustainable Development and by the related Sustainable Development Goals (SDGs), that the General Assembly of the United Nations aims to achieve by 2030. Within this general framework, the participants will discuss the importance of innovating public administration in order to provide answers to the pressing and ever growing issues faced by citizens. From unemployment to the right to health care, from raising inequalities to concerns about security, and much more. It is important for the PA to speak not only about itself and with itself, but to focus instead on why this innovation is deeply needed. To be able to address these complex themes, the program of the convention is organized into 4 different kind of events: “scenarios”, “thematic conferences, “workshops” and “academies”. The complete program of the event is available here. On the 23rd Professor Christian Iaione, LabGov’s coordinator, together with Giovanni Vetritto, from the Presidency of the Council of Ministers, will be chair of a conference titled “Sharing and Local Public Services”, which will take place from 9h30 to 11h30. 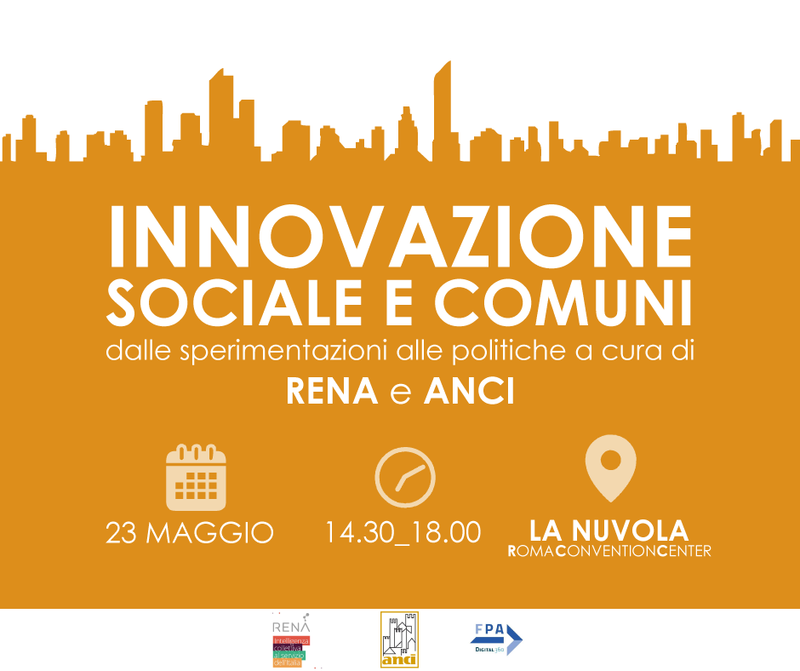 In the afternoon, from 14h30 to 18h00, we will be present during the conference “Social Innovation and Municipalities: from experimentations to policies”, promoted in collaboration with ANG, ANCI and RENA. On the 24th Professor Christian Iaione will be chair of a conference titled “PARTICIPATION: models, policies and interventions in Italian cities”, an event which is developed within the framework of the Integrated project on Participation and Communication promoted by the Municipality of Palermo, which will be represented during the conference by Giusto Catania, Councillor for Participation, Communication, Decentralization, Demographic Services and Migration. The event will take place from 11h45 to 13h30. 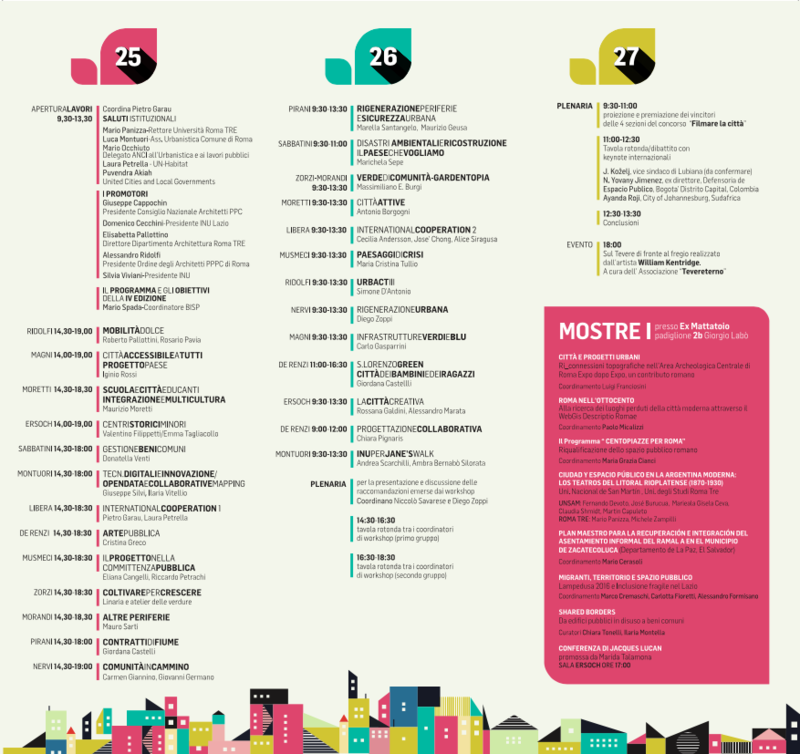 On the 25th, during the national meeting of Italian cities participating in the URBACT network, which will go on from 11h00 to 14h00, Professor Christian Iaione will give a speech on the topic “Italian cities, between innovation and participation”. FORUM PA 2017 sta per iniziare: dal 23 al 25 maggio a Roma si terranno una serie di conferenze e workshops, attraverso cui si affronterà il tema dell’innovazione nella pubblica amministrazione. L’interrogativo con cui questa edizione di FORUM PA vuole confrontarsi è quello del ruolo che le amministrazioni pubbliche possono e devono avere nella costruzione di uno sviluppo economico e sociale che garantisca benessere equo e sostenibile.